I know I’m prone to hyperbole, but I think ABZÛ is actually the most gorgeous game I’ve ever played. This shouldn’t come as a surprise, given that it’s the brainchild of Matt Nava, the art director for Journey and Flower, but he’s outdone himself yet again. To be honest, the sheer beauty of it left me lost for words, but I’m going to try write something resembling a review of it, anyway. 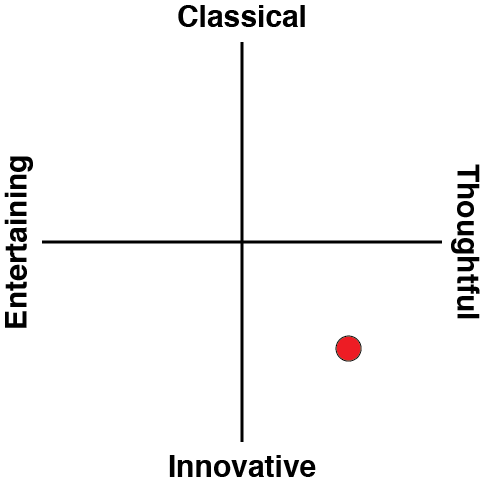 Related reading: Matt's review of Journey, also available on the PlayStation 4, and utterly essential if you are into the whole "games as art" thing. 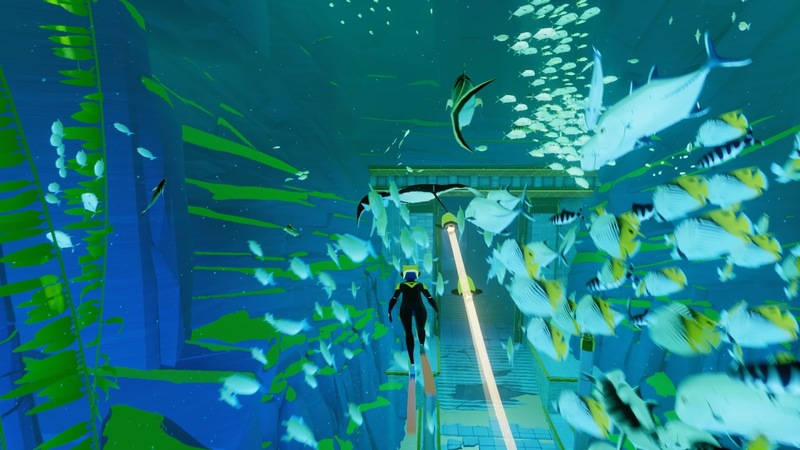 At its most basic, ABZÛ is an underwater exploration game — a “diving simulator”, if you like, but such a simplistic descriptor does the game the same kind of disservice. 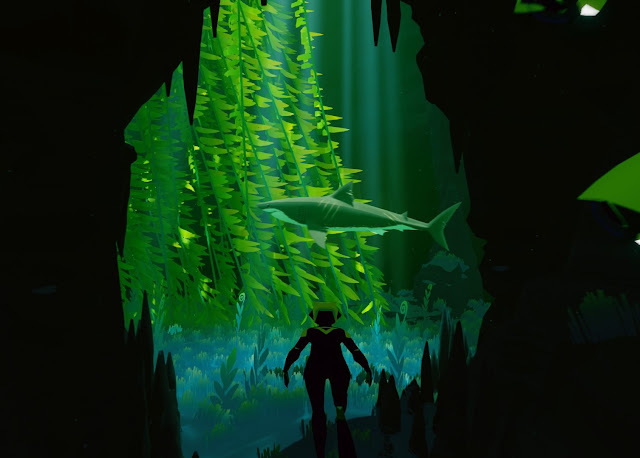 It’s a game that has you exploring the stylized depths of the ocean alongside all the magnificent wildlife there is to be found there, from tiny little clownfish to blue whales. It’s a rare kind of game in which simply holding a button can be absolutely captivating, but ABZÛ is a rare kind of game. Holding L2 when you’re close to certain animals (the more sizeable ones, generally) lets you grab hold of them and just coast along in this submerged paradise. I’d spend five, ten minutes at a time just doing this—holding a button, gliding through through the sea with minimal interaction (in a traditional sense), and letting the beauty of the game’s world wash over me. 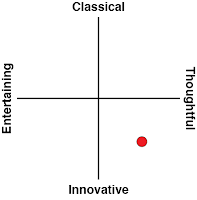 It’s a truly meditative experience, and that’s something gaming as a medium could desperately use more of. If that all sounds a bit esoteric and aimless, there is a story to guide you through the game. It’s an emotional journey, not just in the sense of tugging at the heartstrings, which it does to great effect, but in terms of being carried by emotional progression rather than any kind of cast-iron narrative. The plot is intentionally vague, with nothing in the way of exposition or dialogue, but that’s part of what makes it so powerful. It’s free to be a completely subjective experience, for the player to project their own thoughts and feelings to fill in the blanks, and that makes it such a personal experience. For me, it was a tale of environmentalism—of the grandeur of the underwater world and the threat posed by humans. It was also a myth of creation, a story of death and rebirth, and a rather heavy parable about the cyclical and fleeting nature of existence. 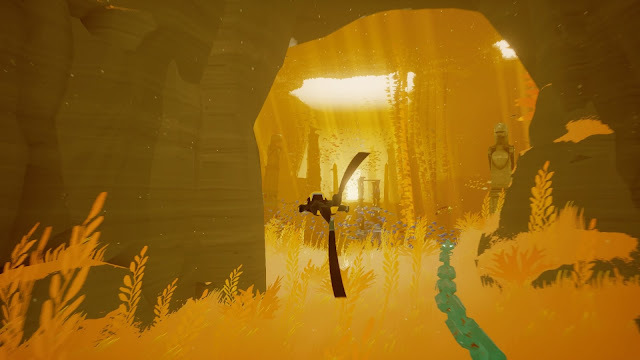 For you, it will likely be something completely different, and that’s what makes ABZÛ’s story special. This story also allows for progression through the various areas of the game. This isn’t an open world game, and that’s to Giant Squid Studios’ credit—it must have been tempting to just create a giant ocean environment and say “here, go nuts”, but I think something would have been lost. ABZÛ, as it stands, has a great sense of structure that keeps it from getting overwhelming. Each area is relatively small in a literal sense, but has an abundance of things to observe and explore, from the animals themselves to the fascinating submarine landscapes. There’s also a sprinkling of collectibles and “things to do”, for those who are that way inclined, but instead of bombarding you with points of interest on a map, they’re just there for you to find. All of these areas are awe-inspiring. In most cases, that’s down to the vibrant colours of the plants and wildlife, but it’s occasionally terrifying as well. Even knowing that you can’t die, it’s hard to not be apprehensive when you’re in the real depths of the ocean and you see the vague outline of some great beast swimming through the murkiness right at you. That brings me to what is, more than anything else, ABZÛ’s crowning achievement. It really captures the majesty of ocean—the beauty of it, but also the power of it. In that sense, maybe “diving simulator” is accurate, because as stylized and fantastical as it is, it expertly captures what it is that makes diving such a rewarding activity: exploring the wonders of the sea.